Gold lace in some form, that's what I was looking for when I went into the thrift store. 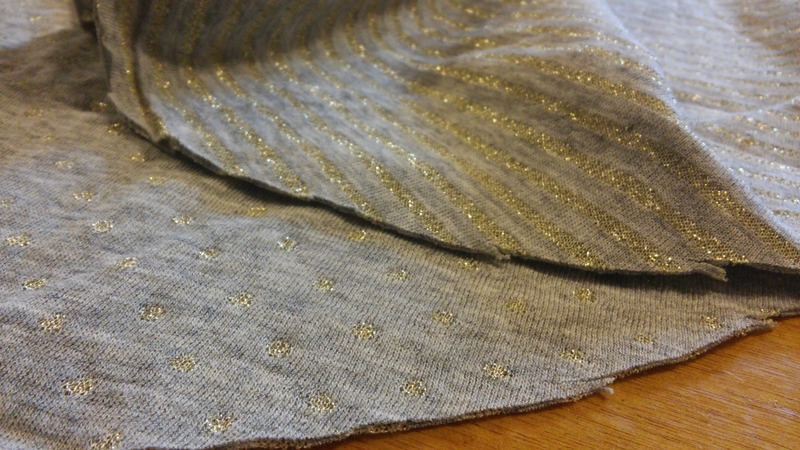 I had just been to the fabric store and picked up a lovely gray knit fabric with gold stripes on one side and gold dots on the other. I thought gold lace would be perfect to set off the stripes and dots in the shirt I planned on making from my new fabric. Well, unfortunately, my favorite thrift store had no garments with gold lace that would work for my plan. Dang. There was, however, this shirt. 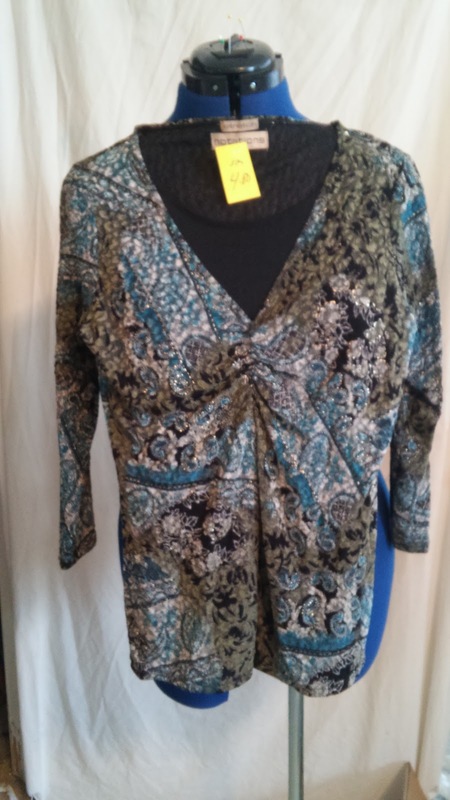 While far from my style, I found the green, teal, brown, and metallic gold paisley pattern intriguing. This could work in place of gold lace with my new fabric! 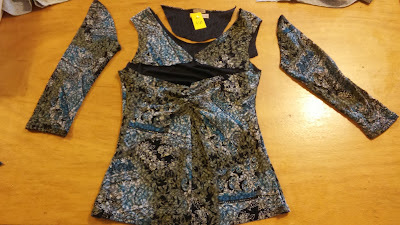 I cut up the shirt, using the the very top as a yoke for my new shirt, and the original hem as the hem for my new shirt. 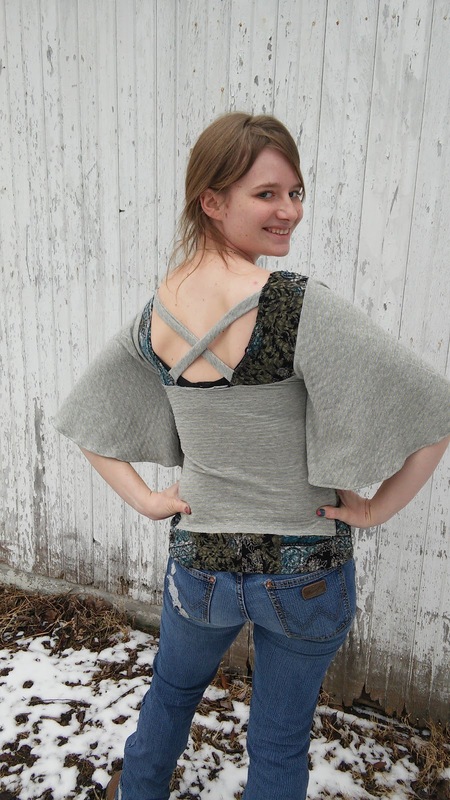 I'm pretty darned pleased with my new shirt, and every where I wear it I get compliments! I think it turned out even better than it would have with my desired gold lace! This was a fun project that went quickly, so I was able to fit it in between baby goats arriving (eek, kidding season is crazy! ), and it turned out even better than the idea in my head! 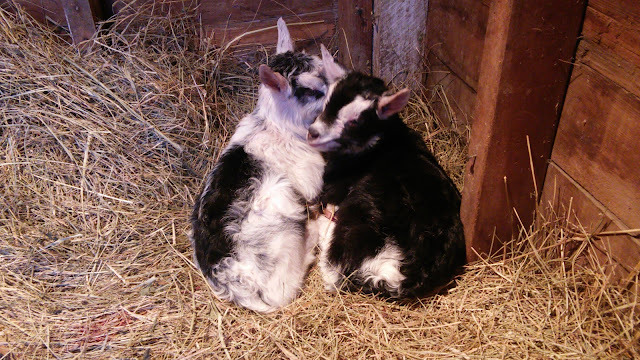 To see the step by step process (and new baby goats!) stop by my blog! Very on trend with the mixed fabric and butterfly sleeves. Wow, what a dramatic change. Love it! Thanks for sharing the pictures of the kiddies. So sweet. Super cute! 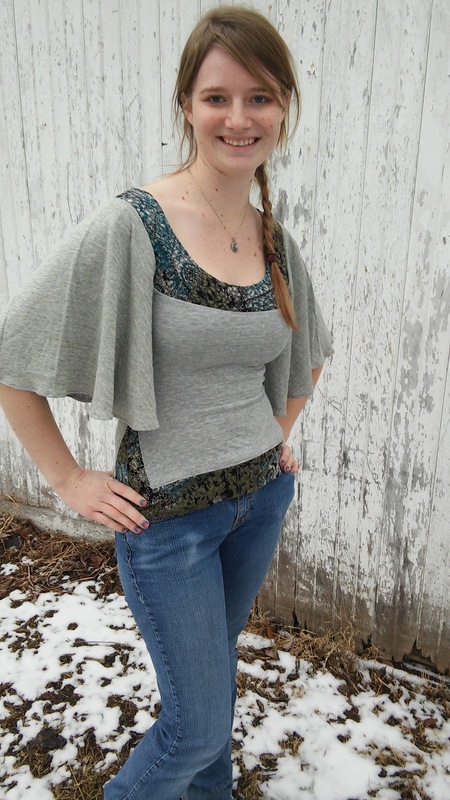 I'm kind of glad to know that I'm not the only one who hunts down certain pieces just for the fabric or pattern. Now, I need a baby goat! They are so cute!